Home Experience You Are Invited at #Bloggys2015! 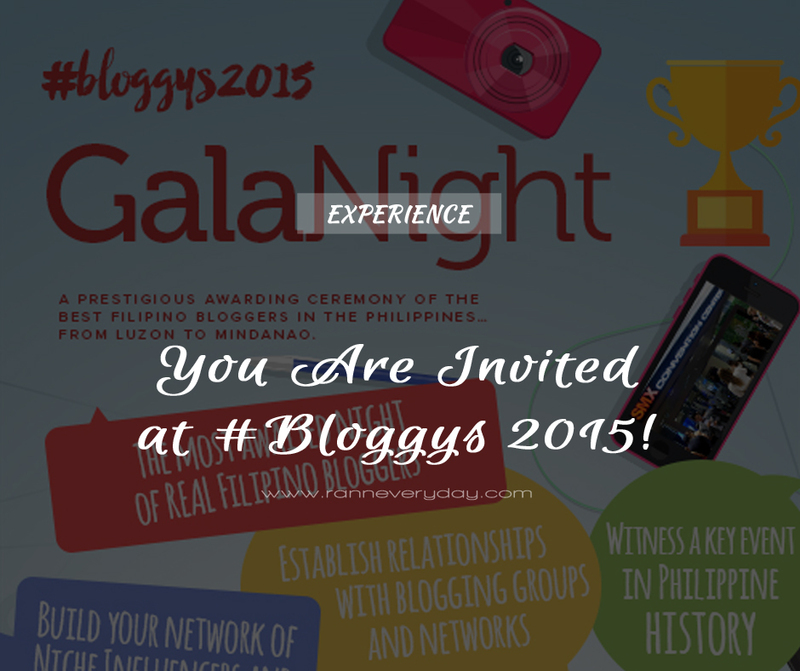 You Are Invited at #Bloggys2015! Nowadays, bloggers are being in the top in terms of influencing the digital and social media population. 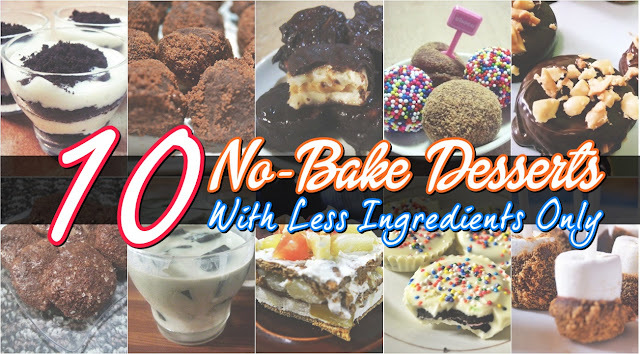 In terms of fashion, latest craze, entertainment, events, awesome food finds and different pop culture, we tend to visit our favorite blog sites to check news and topics that we are interested. This November, bloggers will be gathered in a prestigious award winning ceremony of the best Filipino bloggers in the Philippines - #Bloggys 2015. 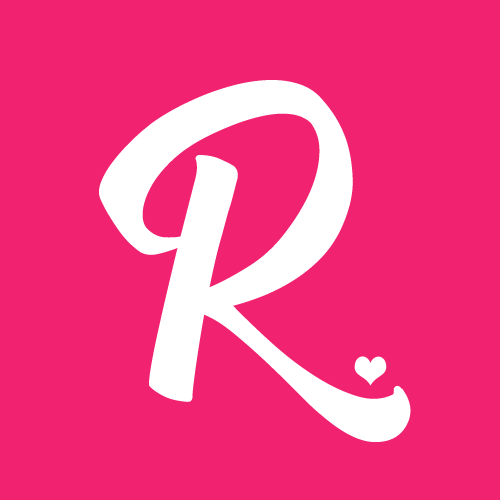 #Bloggys 2015 is the Philippines’ premiere blog awarding event and is on its way to rummage the internet for the finest bloggers in the country. 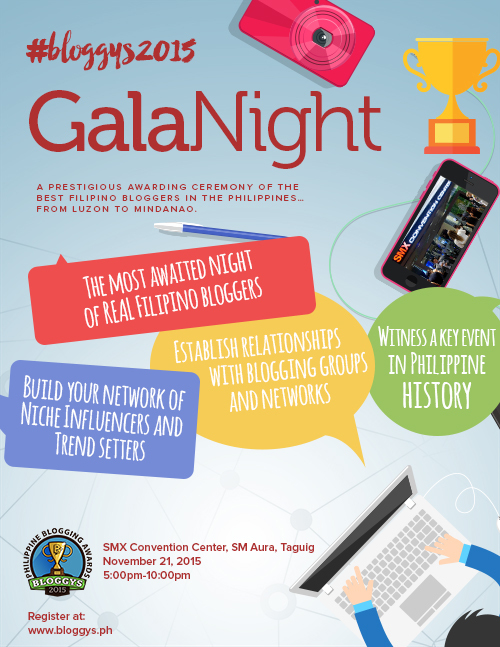 Witness the key event in Philippine blogging history on November 21, 2015 at SMX Convention Center, SM Aura, BGC, Taguig City.